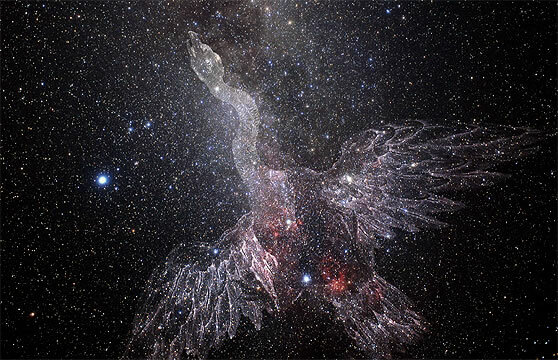 We, who speak to you from the constellations Cygnus and Lyra, we hail from far flung galaxies. We enter your earth space at a time of crisis. We come to warn, to assist, to heal, to reconnect. We have migrated from the Andromeda galaxy with specific orders for work within your galaxy. To be precise, we herald changes through star maps/crop circles on earth. So we contact awakened individuals and act as intermediaries between earth – Vega – Sirius and beyond. Meditation upon the fixed star Vega will create a portal. We are Andromedeans from the galaxy beyond your spheres. 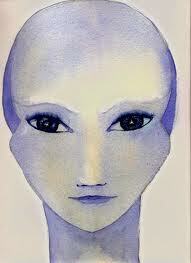 We work in harmony with a small section of Earthlings and Brethren from other galaxies to assist in stabilizing earth. We are the vanguard for the motherships. We are by nature travellers, between and within constellations and galaxies. We draw the star maps (crop-circles) on the earth for all who care to read and make first we contact, we inspire, we warn, we activate, we stabilize, we reside within the swan Cygnus and Lyra constellations. We communicate telepathically and are available for contact during heightened periods, spiritual festivals, full moons. The more you attune with Us the greater sensitivity you will have to the body of the earth and the changes within the body of the earth. In my inner eye I see the Andromedeans. They have high foreheads with a blueish radiation emanating from the crown. Deep set eyes with elongated tapered form /physicality. Their large heads out of proportion to the form. A high sound frequency activates my brain as a means of communication. An aspect of my brain is stimulated; beyond telepathic attunement. An infusion of deep peace and a physical slowing down of my heart beat occurs. As vanguards for the Changes, we herald the Motherships. We work closely with the World Mother to assist souls leaving earth to enter the timeless realm – the Realm of Forgetfulness. We contact people in their dreams; we send prophetic dreams. We send our blessings to earth.